We've loved receiving all your #powderuk competition entries from September! With the colder days sneaking up on us, it’s been a fantastic month to see you all keeping nice and cosy in our socks, hats, scarves and gloves. We have no doubt that October will lend itself perfectly to getting some more of those cosy and seasonal entries into us! Not only is this a great chance for us to see how creative you can be with styling our products, one lucky customer will also be awarded with a £100 voucher to spend on our website! Amy Pinkett has got us dreaming of an autumnal city break in Paris, I guess that's what our Parisian Scene Ankle Socks do to us! Très chic! Laura Gill is looking enchanting in our mustard Enchanted Stag Scarf; we love this colour all year long - however, we do think it's even better when we need something to help brighten up our look during the colder and darker days. 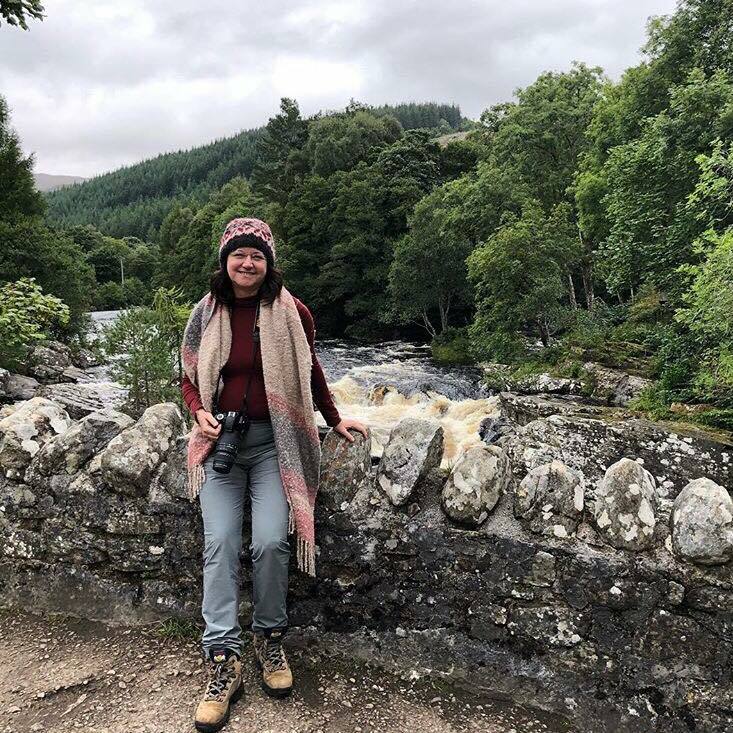 Patricia Wieland is looking delighted to be exploring a vibrantly green forest, keeping cosy and stylish in our coral-mix Maggie Scarf. 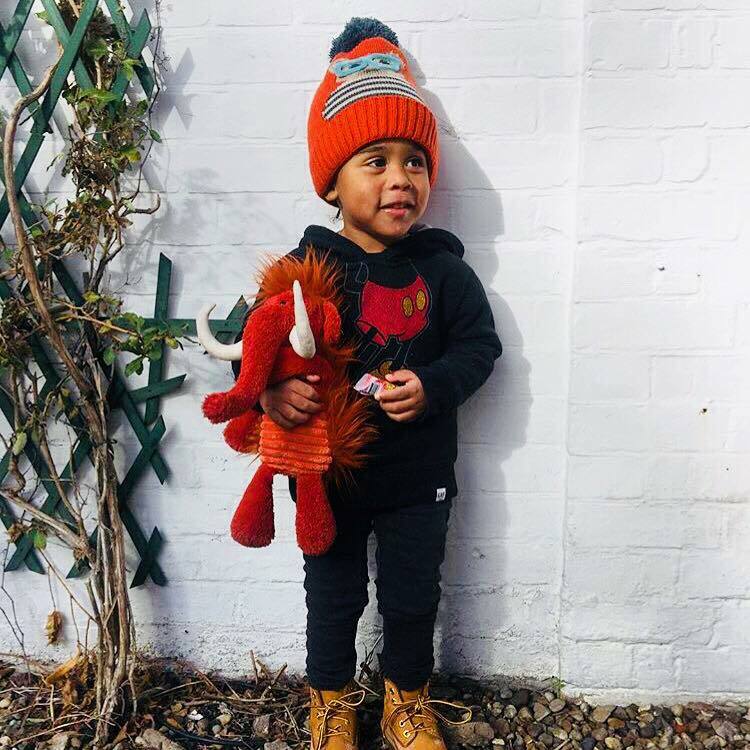 Take a look at how cool and stylish Èlio Etonam is, modelling our Cosy Kids Teddy Hat - and with a woolly mammoth to match! If only our parents dressed us this well when we were that age! 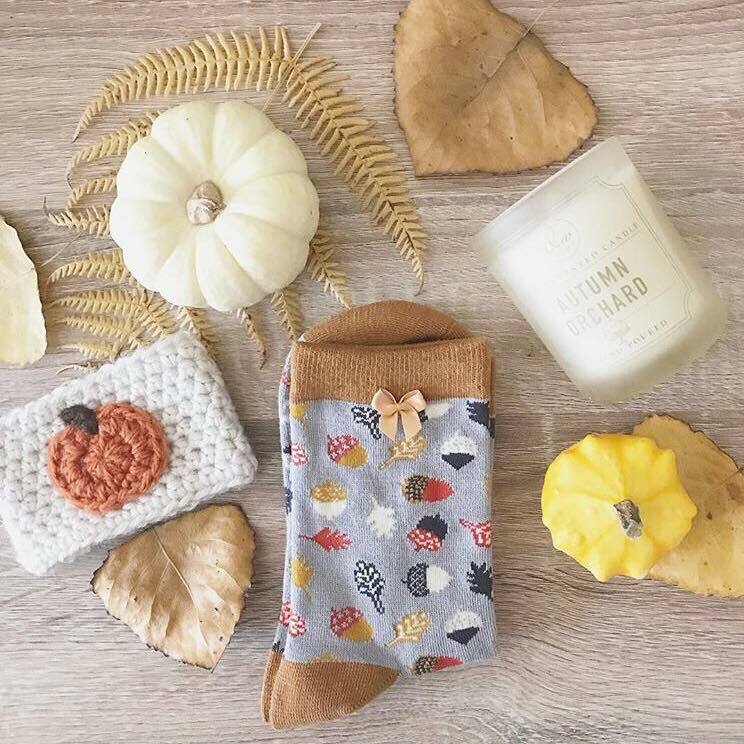 And finally, our winner, Amy Fullbrook, has crafted a beautiful piece of synergy thanks to our Acorn Ankle Socks in slate, mixed with the autumnal finds around her! We're definitely feeling inspired for the months ahead, aren't you? Make sure to enter our October Photo Competition for the chance to win a £100 #powderuk voucher! Click here for more details on how to win!